Created by Will on Apr 20, 2009 3:08 PM. Last modified by scottw on Sep 23, 2010 2:05 AM. 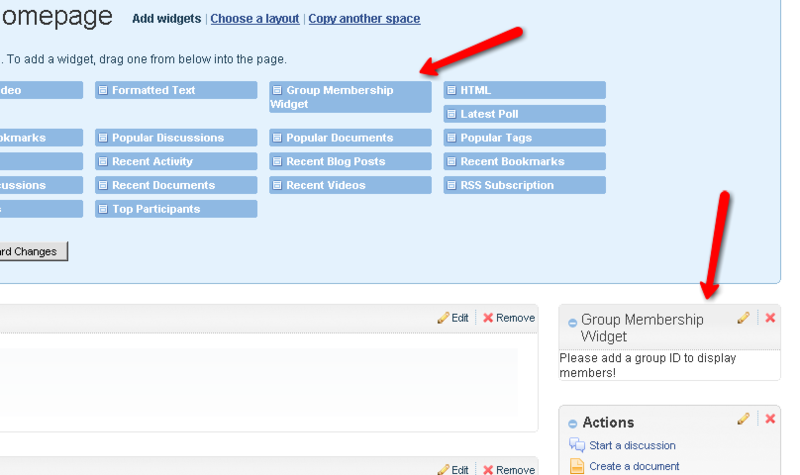 Use this very simple widget to display the members of user groups on Community overview pages. The plugin is quite simple, and I have included the source in case you want to modify it show different user information, or extend it to add additional functionality. After installing the plugin you'll now see the GroupMembershipWidget option when customizing the overview tab of a given community. 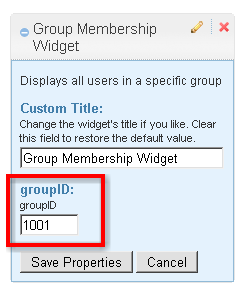 Then, simply enter your user groupID, and it will display all users in that group.